Hot-tempered waitress, Stella Klein, is mortified at her neighbor's concern for her safety, and she blames the situation on her brother. With escalating stakes where money is key, her brother forces her to search for their family's elusive treasure. She vows to stand by his side no matter what, even when his carelessness puts her in harm's way. A high-stakes game of cat and mouse ensues when loan sharks set their sights on Stella. Hawk does what he's trained to do and keeps her safe—even from himself. As the danger escalates, dark secrets fight to be heard, and enemies new and old resurface and threaten to tear them apart. 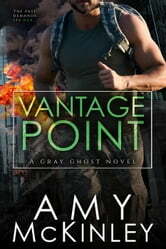 Vantage Point by Amy McKinley a four-star read that will point you in the right direction. 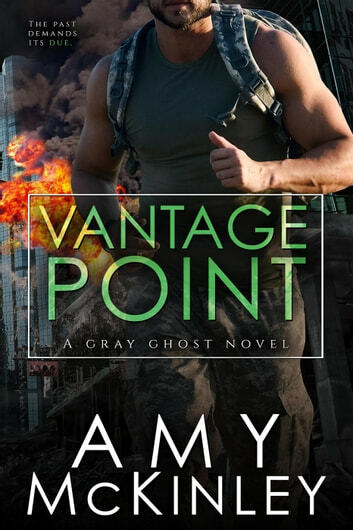 This is the forth novel in the Gray Ghost series and I have read them in order and enjoyed them as such as they each show a different side of the story. This time its Hawk who is the team member we focus on, and he has more sides in this story that a cube, he is quiet but has so many different ways about him. Each of the Gray Ghost men are amazing, but hawk just seems to be deeper than the others, Stella is a great woman and deserving of a great man.